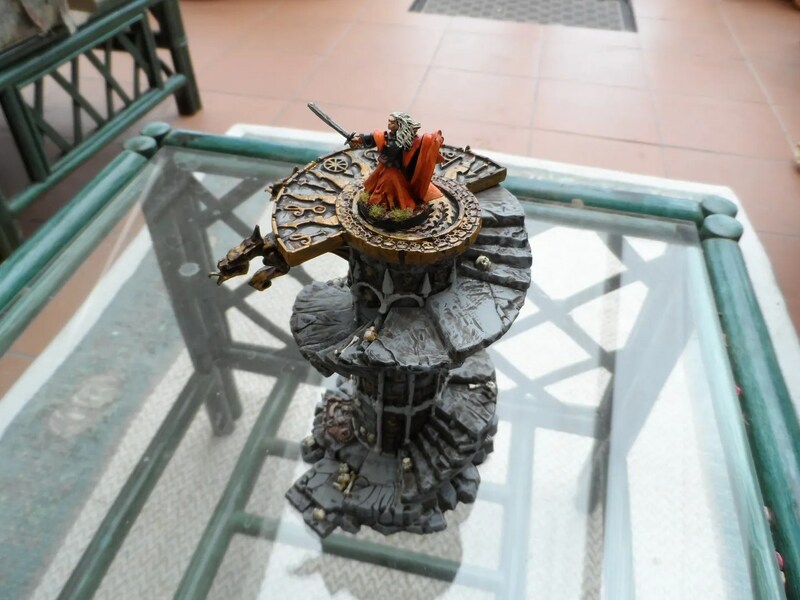 Some scenery for Frostgrave Mordheim and WHFB. 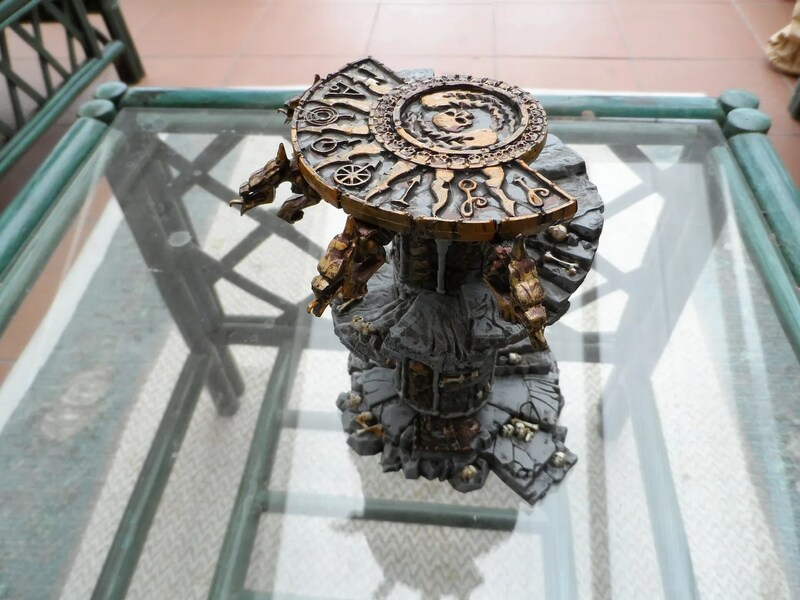 One of the Storm of Magic scenery pieces for WHFB, that has been lying in pieces for too long. Ideal for Mordheim and Frostgrave. Quite complex to put together (the central column was four pieces for instance). 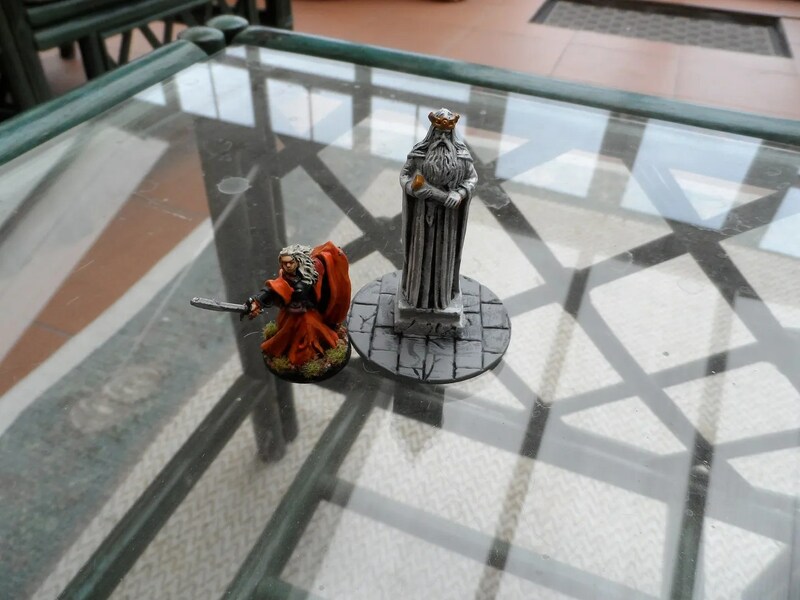 The move unearthed a statue from the LOTR Ruins of Osgiiath set, I did them up for AVBCW but this one escaped so has been done for fantasy gaming. 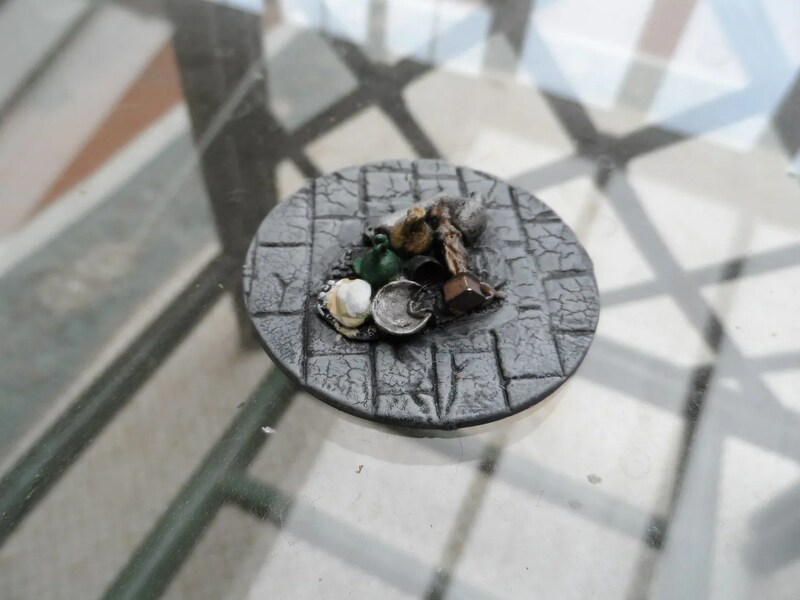 From a Foundry Greek pack of stuff a pile of loot, I imagined this would be a pick and mix treasure option, where figures could take one item and then randomly roll for it later. 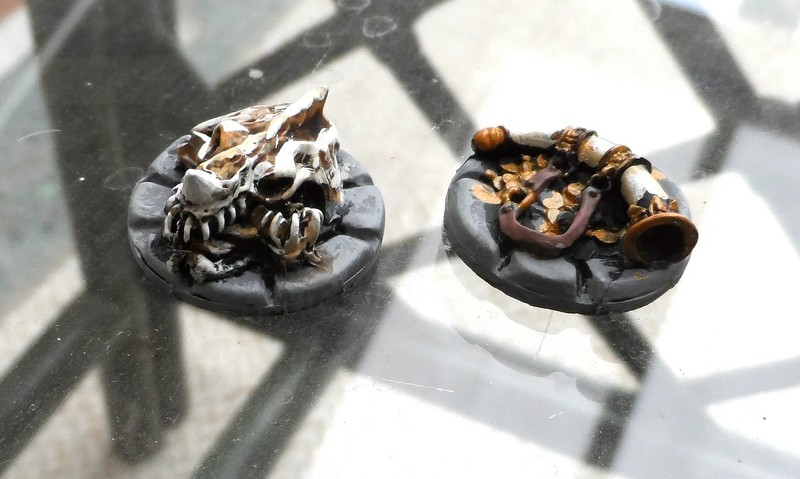 Two of the Frostgrave – Forgotten Pacts treasure items – a demon’s skull and a horn with gold. Lots of more of these treasure items to come as I am hoping to clear these out pronto !